Autumn is in the air! Spring has sprung! The spring season is such a wonderful time of year in Fort Wayne, IN. The flowers bloom and the sun returns from its absence in the winter. 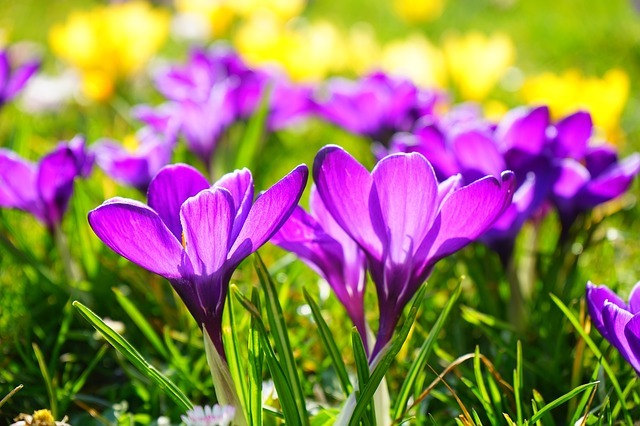 The spring season represents a fresh start for the year and for your home, including spring cleaning and spring carpet cleaning. This time of year, homeowners will assess their home and find opportunities for repairs, inside and outside, and attempt to declutter their home and complete larger projects. One of the larger projects you should consider during spring cleaning is professional carpet cleaning from a local Fort Wayne service. The winter months are over so there will be no more slush or snow being brought into the house for months. This is a chance for carpet cleaning to last much longer without the risk of muddy stains or footprints. Also, if you schedule spring carpet cleaning each year it will become synonymous with the season. It is important to hire a Fort Wayne carpet cleaning company every 12 months. This way you will associate the season as the time for deep carpet cleaning for your home. Just be sure to choose the right carpet cleaner for your home and family. If you live with small children or pets, you want to be sure to choose a service that is safe for your home. Your best choice is Chem-Dry of Fort Wayne in Allen County, IN. Unlike steam cleaners and carpet cleaning machines, our service does not use soap, chemicals or acid rinse to produce successful results. The only solution we use is The Natural®. The Natural is 100% green-certified and safe for everyone, including pets. Now that spring is here, it’s time to clean your home top to bottom, including the carpet. 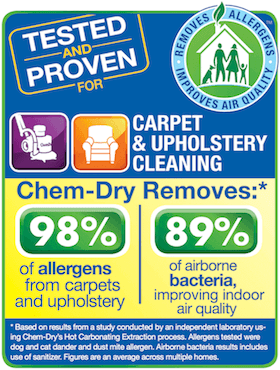 Call Chem-Dry of Fort Wayne at (260) 409-1138 for superior results you are sure to love!